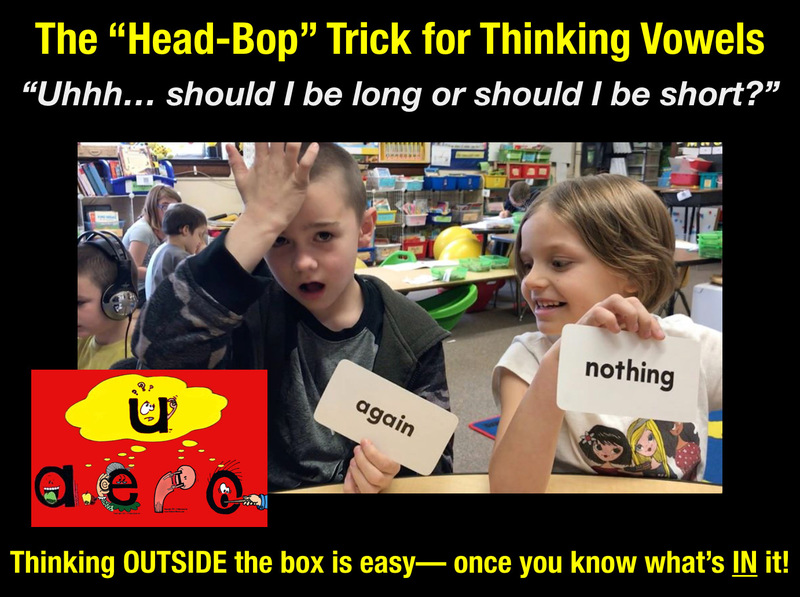 Secret Stories® Phonics Blog with Katie Garner: The "Head-Bop" Trick for Fickle Vowels! "The Secret Stories are the life-blood of our classroom. They are always in view, always in our whole and small group conversations. We couldn't read words without them. They are our best friends. They are the tools the students are taking with them to the next grade!" Kids who know the Secret Stories® are able to understand WHY the letters make the sounds that they do. For example, they know that the Superhero Vowels® have a power that no other letter in the alphabet has—they can "SAY THEIR NAMES!" (like "i" in hike or "a" in hate) But when they don't want to be recognized, they will hide in their "short and lazy" sound disguises (like "i" in hit or "a" in hat). 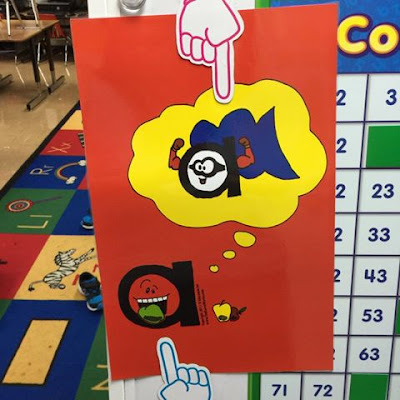 But what about words where vowels just aren't making the sounds that they should? Well thanks to Tara Settle and her brilliant "head-bop" trick, we can become even better Word Doctors AND clear out some of the most frequent "sight word" offenders that clog up your Word Jail! "Should I be long? Should I be short? I just can't make up my mind— Uhhhhhhhhhhh?" We now have a lot less sight words to memorize, thanks to Tara Settle and her brilliant word doctors, for diagnosing and curing this tricky "vowel-shifting" pattern! Tara Settle's first graders were easily able to think "outside the box" because they knew what was IN it! And in the process of doing so, they invented the "HEAD-BOP" trick that can now be used by word doctors in classrooms around the country! Tara Settle with not one, but TWO sets of Secret Stories® Flashcards! 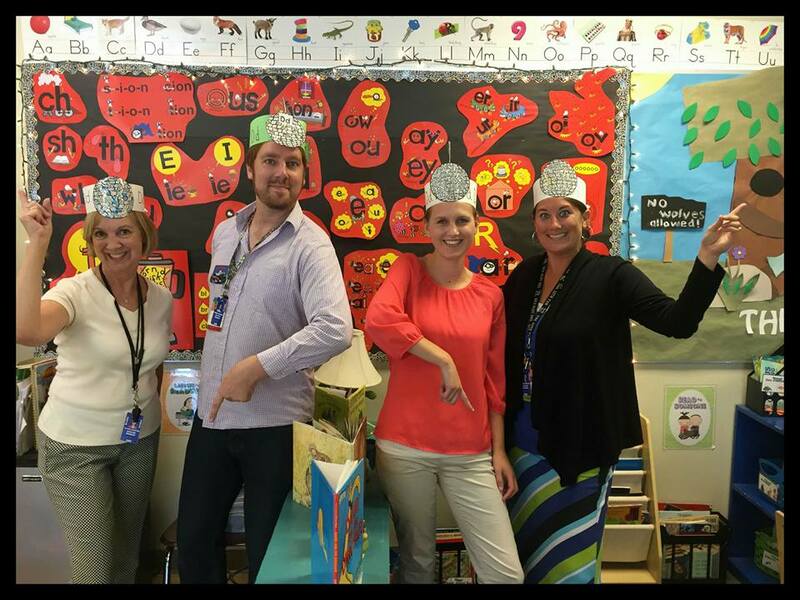 Did you know that the summer is jam-packed with some of the most awesome teacher conferences? It's true! And one of the best one of all is the International Literacy Association Conference in Orlando on July 15-17! For those who have never been, it's an incredible experience. 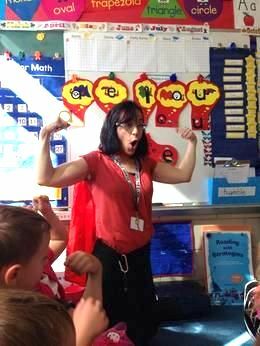 And for those who have, well you know how hard it can sometimes be to squeeze into the sessions that you reeeeeeallllly want to see— even just to sit on the floor, which teachers are usually more than happy to do! Unfortunately, those pesky fire marshals don't like floor-sitters too much, and will often ask them to leave, which is why I personally prefer to take cover underneath a nearby tablecloth (and out of fire marshal view) if it's a session that I really want to hear and it's full. Otherwise, I'll just hang outside of the session room door and strain to listen, which is a lot less fun! But for those planning to attend my session at ILA, I have great news! It's going to be in a BIG session room!!! So, unlike last year, it's highly unlikely that you'll have to resort to hiding under a tablecloth to get in! If you would like session details or information on registering, click here. Another great one is the National Charter School Conference on June 11-14 in Washington, D.C., but don't let the name fool you, as this conference is great for ALL educators, not just those who work with charter schools. 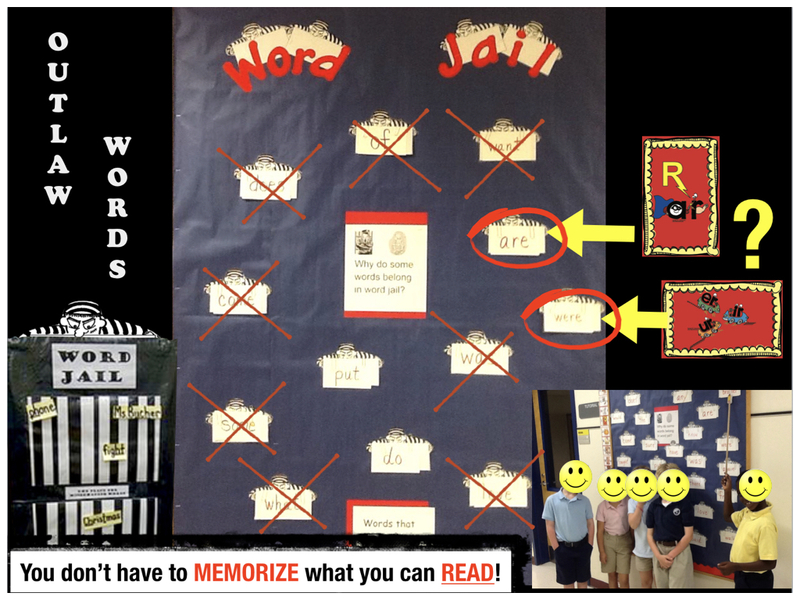 It's a big as ILA, but includes all subject areas, not just reading. And the best part (for me, anyway) is that my sessions are two and a half hours long instead of one...and there is a repeat for those unable to get into the first one, which means that once again, the chances of having your view obstructed by a tablecloth is minimal! For more information on this conference, you can click here. 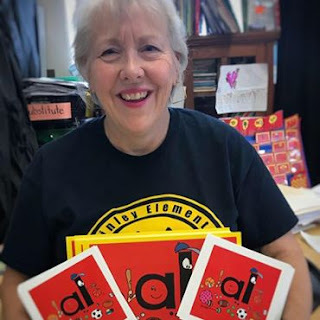 And while this one isn't a national conference, I want to mention it for all of my PK-2 teaching friends out there in South Dakota, as I'll be in Beresford for the South Dakota Kindergarten Academy June 19-22 for two 2-day workshops! (The first 2-day session is already full and the other is almost capped, so register now if you want to go!) You can obtain more information here, including how to get college credit through the University of South Dakota for attending. And for those who just can't get away this summer, no worries! 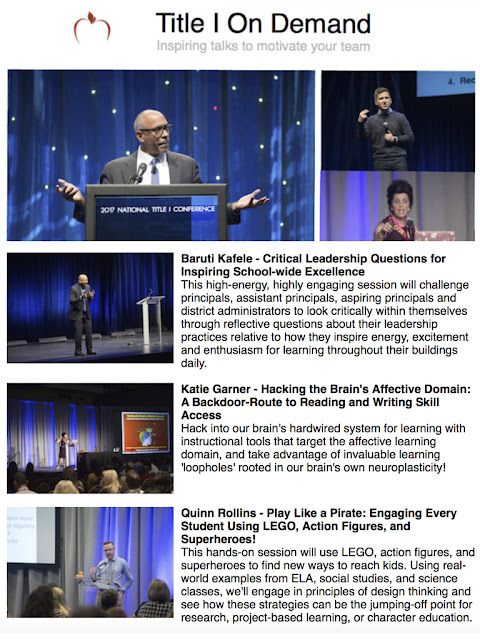 The National Title I Association brings the speakers to you with their Video On Demand series! There are so many amazing sessions, and now you can watch them all from home! You can watch highlights from my featured Title I presented here, or by clicking directly on the video below. The full-length presentation is also available as part of Title I's subscription series, but you can view it free in its entirety here, along with lots of other video clips from conferences, school and district PD Workshops, video blogs and more on the Secret Stories® YouTube Channel. So until next time... HAPPY "ALMOST" SUMMER! PS View the original "Head-Bop" post on the Secret Stories® Facebook and join the conversation!